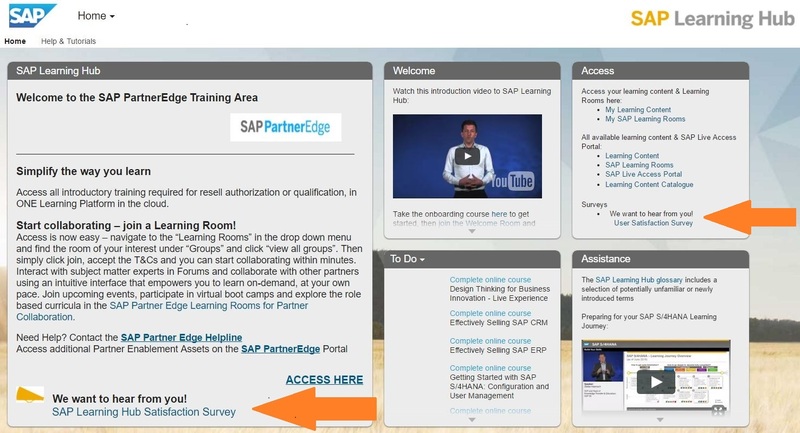 We want to hear from you and your Digital Learning Experience with the SAP Learning Hub PartnerEdge Edition! Thank you for participating in this short SAP Learning Hub Satisfaction Survey. Tell us what you particularly like, tell us what you want us to improve and tell us about your learning experience.